Open defecation is when people have no choice but to defecate outside onto the ground, and in full view of other people. The term is widely used in literature about water, sanitation, and hygiene (WASH) issues in developing countries. The campaign aims at raising awareness on the reality of open defecation. In parts of the world where open defecation is not an issue, the fact that the issue is so poorly understood or even known is seen as a reason why the issue is not getting the attention and the response it deserves. In such places, the campaign urges people to “Search Open Defecation” and find out more about the issue. According to available data, about 3.6 million out of 6 million Sierra Leoneans practice open defecation, and this is common in the interior and the slum communities. Sadly, this is a daily reality for the 6 million Sierra Leoneans. Around 69% of our citizens do not have access to adequate sanitation. That means about 49% of Sierra Leoneans still has to practice open defecation, urinating in rivers which lead to disease such as acute diarrhea, cholera, and dysentery. Others resort to roadsides, gutters buckets, plastic bags and open fields and streets as their toilet. The eventual outcome is death. 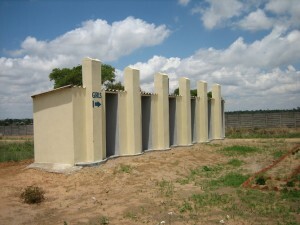 Promoting school attendance: girls’ school attendance is particularly boosted by the provision of public sanitary facilities. Safe Water for Sierra Leone is working towards providing communities with access to safe drinking water. If you or your organization is interested to work alongside our team, feel free to contact us at +1-915-262-6502 for our USA office or at +232-99-661-223 for our West Africa office.